AudienceData can easily be added to you campaigns in Bidtheatre. Go to the campaign tab, and select "Geo- and Data targeting". 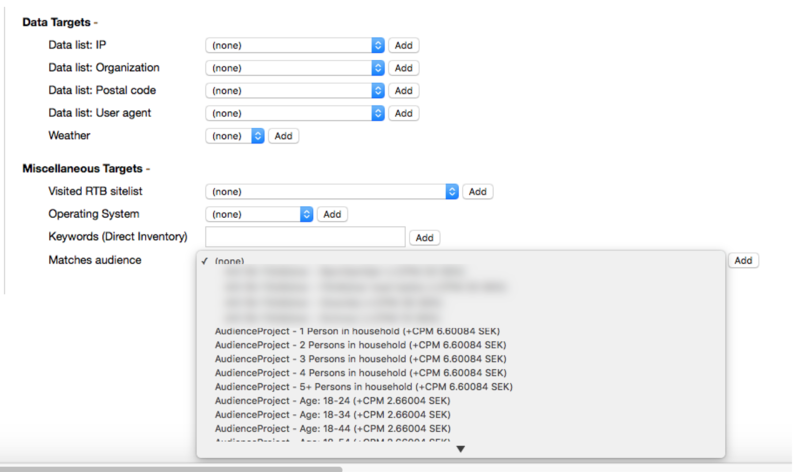 From the dropdown, select the campaign for which you want to use AudienceData. After selecting the campaign, the campaign targeting settings will appear. 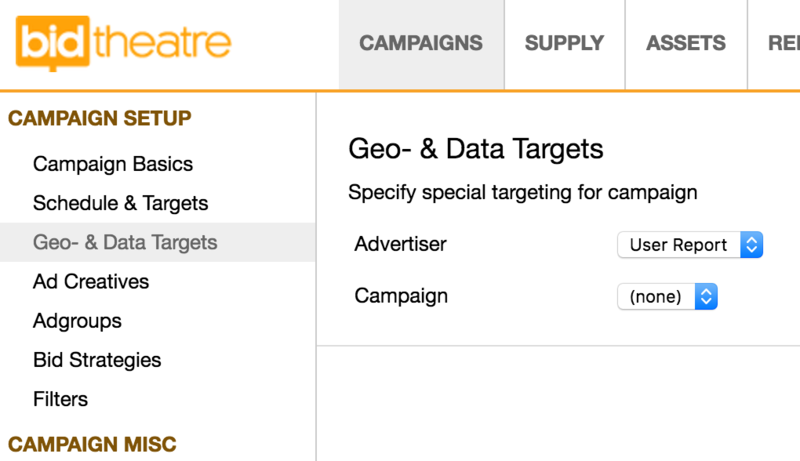 From the section "Miscellaneous Targets", now select the AudienceData segment you want to use for targeting. Then press add.